Little unicorn lovers everywhere will go crazy for this unicorn poop recipe. A great sensory play addition. Edible play dough doesn’t just evoke their different senses; touch, smell, taste it also takes the stress out of them putting it in their mouths. 1)Add the above ingredients to a bowl in the order that they are written, mixing as you go. 3)Add extra flour if the mix is too wet and more water if it’s too dry. 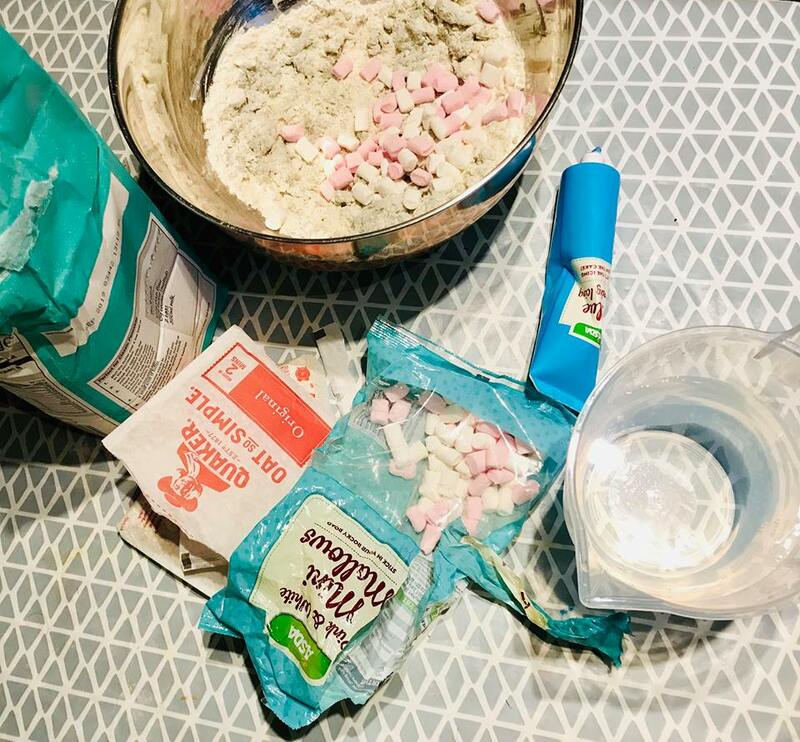 For messy play, keep adding water to make the dough gooey and squelchy! Just remember although this dough is edible, it’s not advisable to let children eat the dough. And as with anything like this they should always be supervised when playing with it. Now you’re good to go, have fun! Next Post Postpartum Care: A Feminist Issue? Lots of silly, explorative fun! Yeah pastry dough is another favourite in our house, especially as you can mix it with anything to get different textures and tastes; cheese, chocolate, orange zest, vanilla. Plus it cooks in minutes… this recipe is purely for fun! Definitely… I am so not ready for slime! Double win! Thanks for popping by!